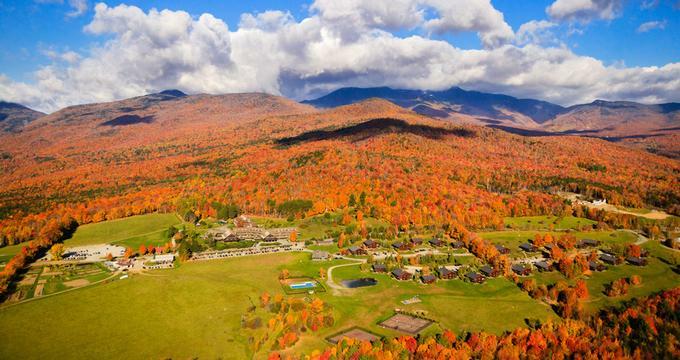 Stowe is a charming town in Vermont, located in a fertile valley between scenic Mount Mansfield and several other Green Mountains peaks to the west, and the imposing Worcester Range to the east. The Little River flows through the town, crossed by romantic, historic covered bridges. Stowe, VT is famous for its winter skiing and fun family summer adventure. Here are the best things to do in Stowe, Vermont. With the highest peak at 4,393 feet, Mount Mansfield is Vermont's highest mountain, very popular among hikers in the summer and skiers in the winter. When observed from the West or East, it looks like a human profile, with the chin sticking up highest. The mountain is intersected by a number of hiking trails. The popular Long Trail crosses the mountain's main ridgeline. The east flank is used for skiing in the winter by the Stowe Mountain Resort. Mount Mansfield's summit has about 200 acres of real alpine tundra that remained from the Ice Age, one of only three spots in Vermont. "The Nose" is a convenient location for transmitter towers for several local radio and TV stations. Strolling through the Stowe village along the Stowe Recreation Path, or what the locals call the 'Rec Path,' is a great way to stretch your legs and observe the life around you. This paved 5.5 mile one-way public path is mostly flat and can be enjoyed by anyone regardless of age or fitness level. If you do not like to walk, you can bike, or in the winter ski or snowshoe. The scenic path will take you over a lovely stone bridge, along swimming holes and past benches and picnic tables. The path is easy to access from several spots in the village and offers beautiful views of Stowe from many points. The Rec Path is intersected at several points by the 1.8 mile Quiet Path, reserved for joggers and walkers, with the natural surface and beautiful views of the Little River. Located about six miles from Stowe, Smugglers' Notch is a narrow pass through the Green Mountains surrounded by 1,000-foot high cliffs, with the winding road that is impassable in winter. The Notch is famous for being used for many illegal activities, from bringing cattle and goods from the British territories to Canada in the 19th century, to smuggling runaway slaves, and later illegal booze during prohibition from Canada to the United States. Smugglers' Notch State Park is open year-round for recreation, but can be accessed during the winter only by snowmobiles and skis. There are twenty campsites and fourteen lean-to shelters at the campgrounds just off Route 108. Trailheads for several hiking trails that head into Mount Mansfield State Forest start at the Smugglers Notch park. The Mt. Mansfield Auto Road, also called the Stowe Toll Road, is 150 years old, and winds up 4.5-miles to the summit of Mt. Mansfield. 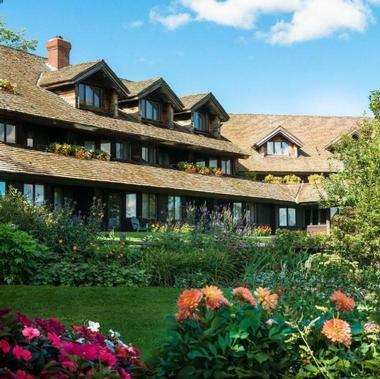 It climbs to 3,850 feet, offering spectacular views of the Adirondack Mountains and the Lake Champlain Valley. The Stowe Toll Road closes mid December and re-opens in July. During the winter, when cars are not permitted, it is possible to ski down it. The toll for Mt. Mansfield Auto Road is charged by the Stowe Mountain Resort. Bicycles and motorcycles are not permitted. While the drive itself is spectacular, there is a number of popular hiking trails that start at the upper end of the road. 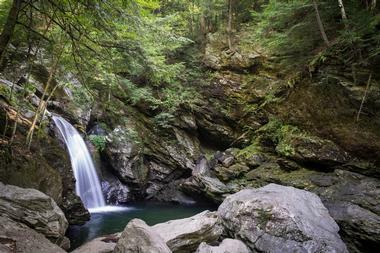 Sterling Falls Gorge Natural Area is located in the Vermont Green Mountains near Stowe. It was carved by 10,000 years of relentless work of rocks and sand carried by Sterling Brook, resulting in a spectacular gorge and a series of cascades, falls and pools. 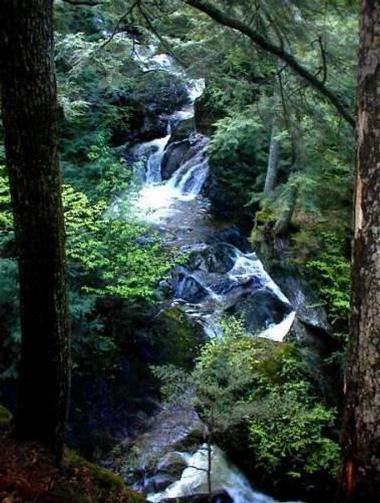 The gorge walls are from 11 to 50 feet high and are surrounded by dense hemlock forests, shrubs and ferns. Walls of the gorge are made even more beautiful by a cover of lush, green mosses. There is a scenic trail that follows the gorge and at times gets close to the gorge walls, showing thousands of years of geological history of the area through the layers of exposed rocks. The walk to the end of the trail and back takes about 45 minutes. 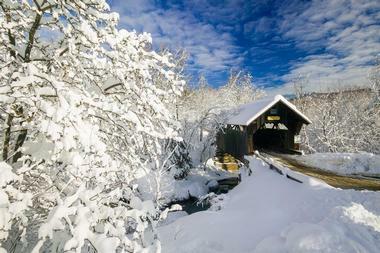 Gold Brook Covered Bridge, or Emily's Bridge, is a small covered wooden bridge over Gold Brook in Stowe, Vermont. It was built in 1844 and is listed on the National Register of Historic Places. According to the legend, the bridge is haunted by the ghost of a girl named Emily, who, according to one version of the story, hung herself from the bridge rafters after her lover, who was supposed to meet her on the bridge, did not come. There is no evidence that Emily ever existed, but the stories about Emily's appearances and noises she makes are being frequently reported by visitors crossing the bridge. The noises are most likely created by teenagers partying under the bridge, often chased away by the police. 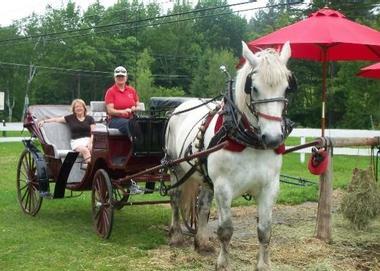 There is no better way to explore scenic roads and vistas of the charming village of Stowe than in a beautiful, old-fashioned carriage or sleigh pulled by powerful but gentle Belgian and Percheron horses Mack, Justin, Donny, Tom and Bret. You can choose romantic carriages and sleighs for two or large, candy-apple red Santa-style carriages that can fit 12. Leave the top down and enjoy the fresh air, or put it up if it rains. You will ride down scenic winding roads, through the village and dense woods, cross historic covered bridges and enjoy splendid views of Mt. Mansfield, in comfort, snuggled under the blanket in the winter during the day or in the evening under the stars. Each ride is private, just for you. Stowe Mountain Resort in Vermont offers spectacular skiing not only on one mountain but two: Spruce Peak and Mount Mansfield, which has the lift-served vertical drop of 2,360 feet and an average annual snowfall of 333 inches. There are 116 trails on Spruce Peak and 39 miles of ski terrain on Mount Mansfield. West Branch Gallery and Sculpture Garden offers world-class contemporary art in a peaceful regional setting. The high ceilings, excellent lighting, and the nooks and crannies of the gallery allow a meandering exploration of the eclectic art treasures that the gallery houses. 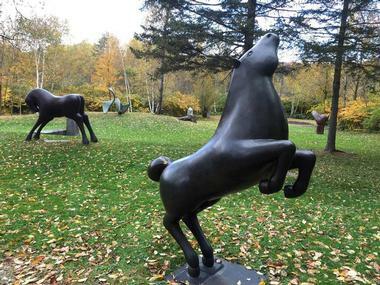 Outdoors, amongst rolling lawns, trees, and a river, is a sculpture garden with stone and metal creations, the best of modern sculpture and a scenic mountain background. A trail leads down to the river, and there are lovely places where visitors can both picnic and enjoy the beautiful sculptures. The gallery focuses on emerging and mid-career artists, and offers services such as art consultation and acquisition. Umiak Outdoor Outfitters is a retail store and tour company. The retail division sells everything necessary for outdoor adventures in New England, including new and used boats, skis, snowshoes, clothing, sleds, car racks, and crampons. 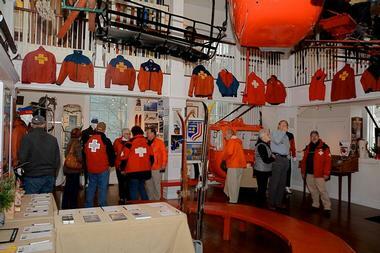 It offers tours year round, whether you would like to go kayaking in the summer or sledding in the winter. Kayak tours of the Winooski River give visitors an opportunity to see wildlife up close, as the shores and water are home to deer, otters, moose, great blue heron, and kingfishers. The Lamouille River canoeing tour is ideal for beginners, with its slow-moving waters. Craft brewery tours are offered, and in the winter, guides take out groups to snowshoe, ski cross-country, or to have a spectacular ride on a dogsled. 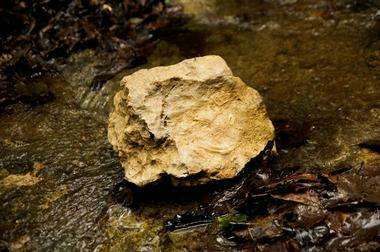 Wiessner Woods is a 79-acre conservation area maintained by the Stowe Land Trust. In accordance with the wishes of its late owners, Fritz and Muriel Wiessner, the forested land has been converted for pedestrian use, and hiking, cross-country skiing, dog walking, and snowshoeing is permissible on the extensive trail networks that wind through the woods. The trails are well marked and well maintained, and off-limits to bicycle and snowmobile traffic. 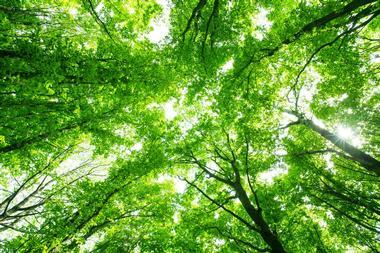 The woods are a mixture of softwoods and hardwoods, largely white pine, but also elegant maple trees, white birch, hemlock, spruce, and beech trees. A number of small brooks flow through the land, and pedestrian foot bridges have been built over them. It is a lovely place with gentle slopes, ideal for a leisurely walk. Parking is available. Laughing Moon Chocolates is a gourmet chocolatier in downtown Stowe that makes fudge, truffles, chocolate covered caramel apples, barks, and clusters, and which also sells its own line of sugar-free and vegan chocolates. It is a store committed to eco-friendly practices, social responsibility, and local products. 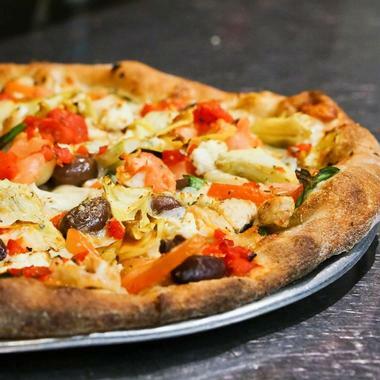 All of its packaging is compostable, it supports many local charities, and sources its recipe requirements from Vermont. The result is delicious chocolate products, suitable for snacking, gifts, and wedding favors. Chocolate dipping demonstrations are given daily, and there are family workshops held regularly that give instruction about making chocolate at home. Private chocolate-making workshops are also available. The Vermont Ski and Snowboarding Museum celebrates Vermont's ski and snowboarding history, focusing on the late 19th century to the present. A documentary film about the history of skiing in the United States can be viewed by visitors, who can also admire and learn from the exhibits about ski fashion, chair lifts and their technology, Nordic skiing, and the 10th Mountain Division, an infantry unit in the U.S. Armed Forces. Housed in a converted church, this small museum has a gift shop, a hall of fame dedicated to honoring athletes and pioneers of Vermont skiing, displays of ski-related fine art, and archival collections. 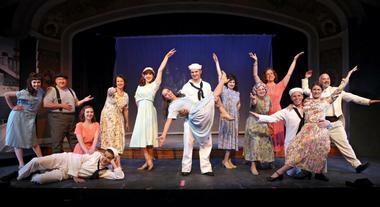 The Stowe Theatre Guild is an entirely volunteer-run organization dedicated to putting on the best plays and musicals in New England. From their beautiful wood-rich performance venue on the second floor of the town hall, the Stowe Theatre Guild attracts locals and visitors, who come for the excellent performances and return again and again. The guild began in 1957, and for years used a barn as a performance centre; a playhouse was built in 1964, and for a while used professional actors, who have included Meryl Streep and Morgan Freeman. The Stowe Theatre Guild puts on several shows each season, and serves beer, wine, mixed drinks, soft drinks, and snacks at each performance. Bingham Falls is part of Mount Mansfield State Park, just outside of Stowe, Vermont. 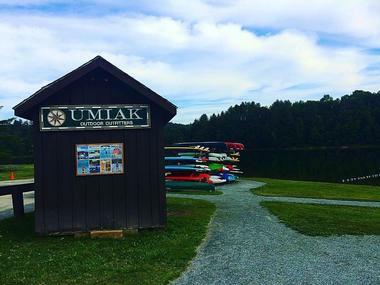 Its 72 acre property is a magnet for hikers, swimmers, cross-country skiers, snowshoers, and picnickers, and is popular with both visitors and local residents. The 40 foot waterfall has a beautiful cascade and there are deep natural pools for swimming. Set in a northern hardwood forest of mainly red maple, yellow and white birch, and beech trees, the Bingham Falls area is a wildlife corridor for bears, and home to animals such as chipmunks, white-tailed deer, and red fox. The climb down to the waterfalls is steep and difficult, and should not be attempted by anyone with limited mobility. 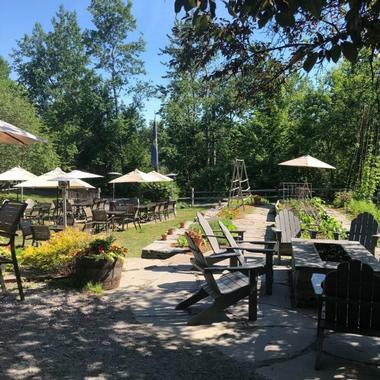 A short two mile drive north from Stowe Village, you will find a rustic, comfortable Stowe Cider tasting room and production facility. It is here, in the former deli and market space, that the Winders family produces about 500-gallon batches of cider twice a month, using only locally grown apples from Champlain Orchards. Some of their most popular ciders include the Summer Shandy, a zesty blend of fresh lemonade and dry cider; Strawberry Fields, a cider blended with strawberries, lime; and cider-style beers like Safety Meeting and High & Dry. You can find their ciders in stores in Vermont and Massachusetts, and of course at many local fairs and events. Once upon a time at the end of the 1700s, Cady Hill Forest was cleared by early settlers for use as farmland. The farms have long been abandoned, and the forest has re-grown naturally. Now the forest stretches over 258 acres, 23 of which are designated as wetlands. It is a wintering area for deer, and parts of the park are closed off in the winter for the safety of the deer. The eleven miles of trails are used primarily by mountain bikers, who come to enjoy the steep grade of the hill and its many switchbacks. The forest is also popular with hikers, dog walkers, and in the winter is used for cross-country skiing and snowshoeing. The forest is mainly white pine and hardwood, with red maple, sugar maple, and hemlock trees in the majority. Snowmobile Vermont offers exciting snowmobiling tours in Mount Mansfield State Forest. Every day when there is snow on the ground, guides lead out groups on two hour adventures up hills, through wooded areas, and onto straightaways for those who wish to see their snowmobile speed! All participants use one of the company's advanced Polaris snowmobiles, and are fitted with helmets and boots. Warm snowmobiling clothing is available for a small extra fee. The snowmobile outings are suitable for beginner and advanced riders, although youth aged 16 and under are not permitted to pilot their own snowmobile, and must be accompanied by an adult. 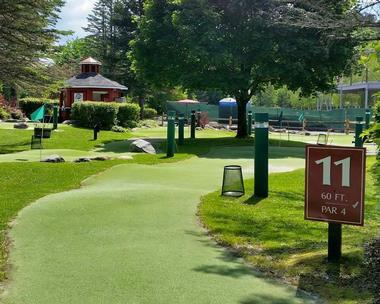 Stowe Golf Park is a mini-golf course on the front of the property of the Sun & Ski Inn. It is not the usual mini-golf course; it has been designed as a regular golf course in miniature, and mimics the conditions of real golf play. Professionally landscaped and contoured, the course has rolling greens, obstacles of the natural sort that would occur on a full-sized course, hazards on the fairways, sand traps, and rough grass to contend with. The course has lovely trees as natural shade, and there are benches to sit on while waiting for your turn to play. There is ample parking for visitors. Stowe Golf Park is open from May until October. Four Points is the source for mountain bike lessons and guided mountain bike tours in Stowe. 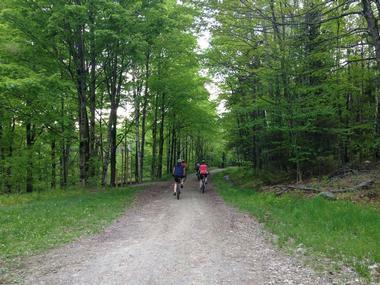 Experienced cyclists will enthuse about the two hour guided trips that take bikers to the best trails in the Stowe area. Beginner cyclists can take part in private or group lessons that acclimate new riders to mountain biking. Four week skills development classes are available once a week for four weeks, and there are weekend bike clinics that last for four hours each on Saturday and Sunday. Young mountain biking enthusiasts may participate in week-long summer camps that teach kids about mountain biking skills, bicycle maintenance, and safety on biking trails. Four points also offers microbrewery tours, which involve three hours of mountain biking, lunch, and visits and samples at three or four breweries. 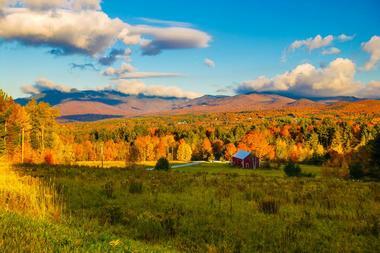 Bonafide Tours offers Vermont experiences that are truly different and spectacular. Designed to appeal to the lover of the organic and locally made, Bonafide Tours takes visitors and locals to vineyards, organic farms, sugaring shacks, and craft breweries. In the spring and summer, groups go to Shelburne Farm and Vineyards to enjoy the landscape, the 19th century barn, and to sample cheddar cheese and artisanal baked goods made on-site. Other groups visit an organic dairy farm, where they can wander amongst Guernsey cattle during milking time, pet calves, and then enjoy the tea room located in a handcrafted barn and feast on sweet and savory locally-made treats. 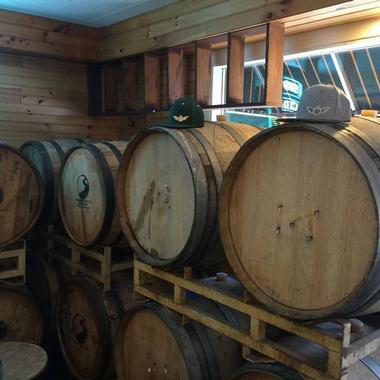 Tours of Vermont microbreweries and sugar maple shacks are also available from Bonafide Tours. 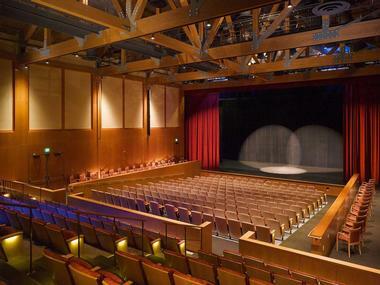 Spruce Peak Performing Arts Center is the premier site for performing arts in central New England. It brings culture and arts education to the Stowe area and beyond, and presents numerous shows every year in many genres. The Burlington Symphony Orchestra and the Vermont Philharmonic are regular performers here. Every August, Spruce Peak is one of the hosts of the Tango Music Festival, and it is a viewing point for the internationally acclaimed Manhattan Short Film Festival, which is simulcast and invites votes from around the world. Over the course of a year, the performing arts center is home to ballet, folk music, film, comedy, blues, classical music, and Grammy Award winning artists. 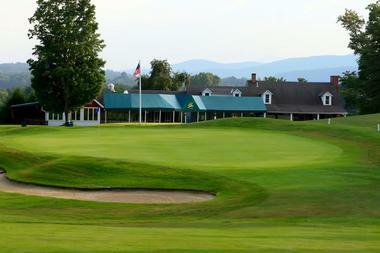 The Stowe Country Club is a members-only golf course and social club at the Stowe Mountain Club Golf Course. This beautiful course is situated on the sides of the slopes of Spruce Peak and Mount Mansfield, with greens reaching a maximum elevation of 1,800 feet. Members of the club have access to this course and more such as men's and ladies' leagues, member social events, tournaments, and so much for youngsters. The Stowe Country Club has children's summer camps, membership in the PGA Junior League, and after-school clubs. The Country Club has expansive practice facilities, including practice greens and bunkers, PGA professional instruction, and a cottage, which is an indoor facility where guests can use video analysers, a golf simulator and a stroke monitor to help you become a better golfer. The Fly Rod Shop is part retail emporium, part guided fishing tours. The retail side sells everything a person could need to get out and catch fish, with an emphasis on fly fishing equipment. On offer are rods, flies, tackle boxes, clothing, and footwear. Free casting clinics are offered regularly in-store. For those new to fly fishing, The Fly Rod Shop offers guided fishing adventures, including group stream tours and private lessons. 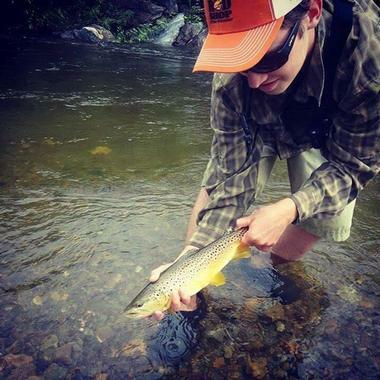 The guides take clients out on one of the many local rivers such as the Winooski, the Little, the Dog, and the Lamoille, and show them how to cast and attract fish. There are also outings to New York State to catch steelfish and salmon, a junior fisherman program, and deep winter ice fishing expeditions to help keen fishermen get through the winter months.